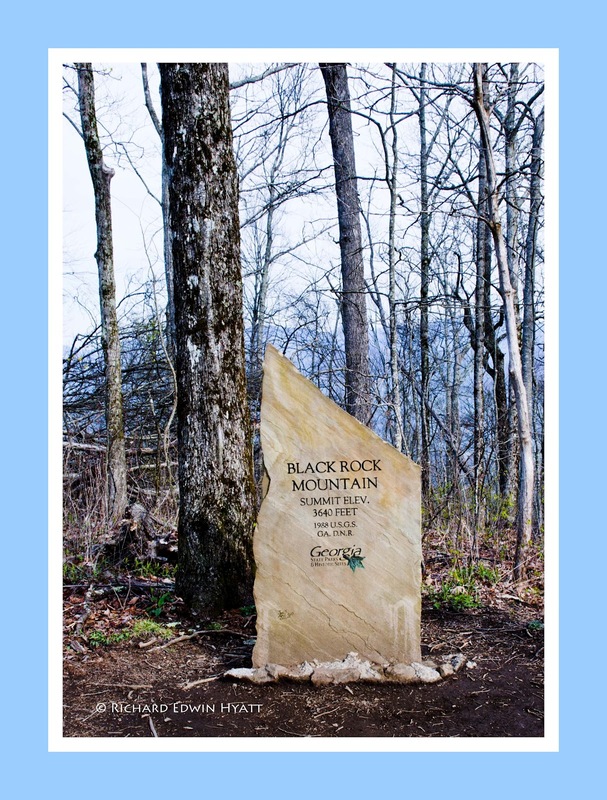 Trillium Traveler: Black Rock Mountain - Again! After hiking the Tennessee Rock Trail on Saturday afternoon I wanted to go back and shoot some trilliums blooming along the trail near the Eastern Continental Divide. So, I got up early and headed up Black Rock Mountain again. Driving to the top of the mountain I hiked out to the monument shown here. Along the way I found Yellow and Maroon Trilliums growing side by side. Here is where Identification becomes difficult. Found here are two (or who knows even more) very similar trilliums. The hard part is figuring out which is which. 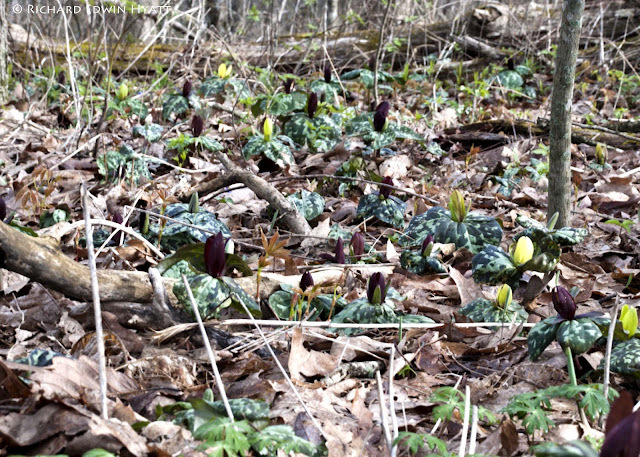 It seems some Toadshade Trilliums may have maroon or yellow flowers. There are other differences we will have to learn about along the way!